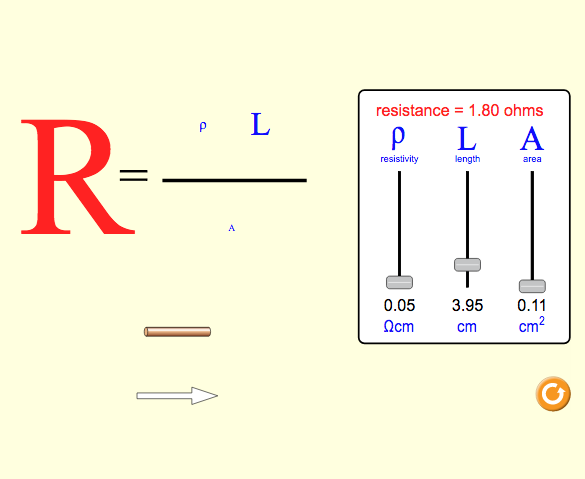 The PhET project recently published the Resistance in a Wire (RIAW) simulation, complete with sound, description, and alternative input. This simulation, along with the Ohm’s Law simulation, has served as a primary teacher over the past two years, guiding towards deep understanding of effective design and development of sounds and description for simulations. There were a record number of release candidates created for this sim, and many hours of dedicated effort by the QA team to bring an accessible version of RIAW to the world. How do we effectively cue a change in one variable, while interacting with a second variable? How do students interpret increasing a slider value, while hearing a decrease in another variable? Do we need to layer two sounds? If so, what qualities of sounds help us convey that we’re increasing/decreasing one value while a corresponding value is simultaneously increasing/decreasing? What types of sound support cueing mentioned above, and work equally well when interaction can be done continuously (e.g., when using a continuous slider with a mouse) and in discrete steps (e.g., when using a continuous slider incrementally with keyboard)? From September 2017 through to May 2018 over 100 learners were interviewed and/or surveyed regarding their use of this simulation in its many iterations. The information gathered through these interviews was used to inform the development of the simulation resulting in making it accessible to many learners with disabilities, using elegant visual, auditory, and interaction design.